Unreal TV : 'The Giant Behemoth' Blu-ray: Creature from B.C. Attacks U.K.
'The Giant Behemoth' Blu-ray: Creature from B.C. Attacks U.K. 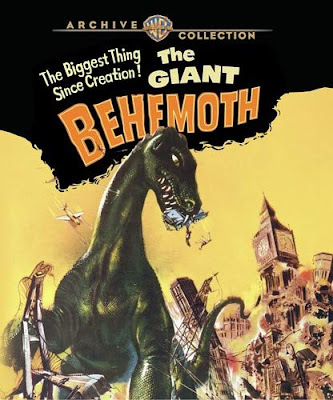 The Warner Archive leitmotif to which the January 22, 2019 Archive Blu-ray release of the 1959 movie "The Giant Behmoth" belongs is '50s sci-fi. Although very entertaining based on its own merits, the so-bad-they're-good stock footage and special effects greatly add to the enjoyment of watching this one. Further, the Blu-ray remaster of this low-budget cult classic looks and sounds good. The addition of "Behemoth" to the Archive catalog follows the (reviewed) Blu-ray release of the Howard Hawks mainstream classic "The Thing From Another World." These releases (and similar fare) facilitate recreating the awesome Saturday afternoon marathons at movie theaters. Watching the films back-to-back on the evening of a horrible day was exactly what the cinephile ordered. The following YouTube clip of a Archive highlight video of "Behemoth" showcases the aforementioned effects that make the production values of the live-action Saturday-morning series "Land of the Lost" seem like something from a Merchant-Ivory film. A related depicted element is the cool way that "Behemoth" recreates the vibe of the WWII-era blitz. This "Godzilla" begins with Yank Steve Karnes in King Robert's Court to lecture on little-considered fallout from A Bombs; his topic is how the radiation affects sea life but does not specifically address fish developing a third eye. This scene is particularly notable for a clever narrative technique that identifies Karnes. Karnes is about to leave England for his home turf when a news report of sea monster who is far from lovin' and laughin' his life away prompts this science guy to head to the coastal scene of the crime. One of the coolest scenes from this portion of the film is discovering a radioactive element in a dissected fish. Finding radiated Nemo allows narrowing the search for the titular sea monster. Rather than using a dory, our team boards a helicopter to search the targeted area of ocean. The arguably best effect ensues in the form of the Biblical beast swimming just below the surface. This scene arguably inspires similar moments in the awesome Brit series "Primeval" and "Primeval New World" that have prehistoric creatures respectively terrorizing England and Vancouver. The same in-the-know viewers who yell "don't go in there" during horror movies surely predict that the plan to lower the helicopter to get a better look is a fatal mistake. They may as well have had Henry Blake on board. The behemoth going on land and leaving behind physical evidence of (presumably) his presence leads to bringing in paleontologist Dr. Sampson. Sampson is a somewhat absent-minded professor who steals every scene in which he appears. All of this leads to a literal plan-of-attack that finds the proper balance between ridding the U.K. of the terrible lizard and taking a scorched-earth approach. The ensuing action revolves around getting the rampaging beast to take his medicine. 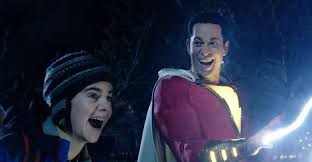 Hilarity and drama ensue in equal measure as the potential saviors strive to complete their mission; consensus regarding this effort avoids any barney. As indicated above, the silliness of "Behemoth" provides roughly 90-minutes of unreal entertainment. Ambiguity regarding whether this big guy is a teenage mutant sea creature or a long slumbering dino who is awoken provides a good discussion topic.